Is state letter to Facebook a challenge against anti-semitism or assault against free speech in New Jersey? 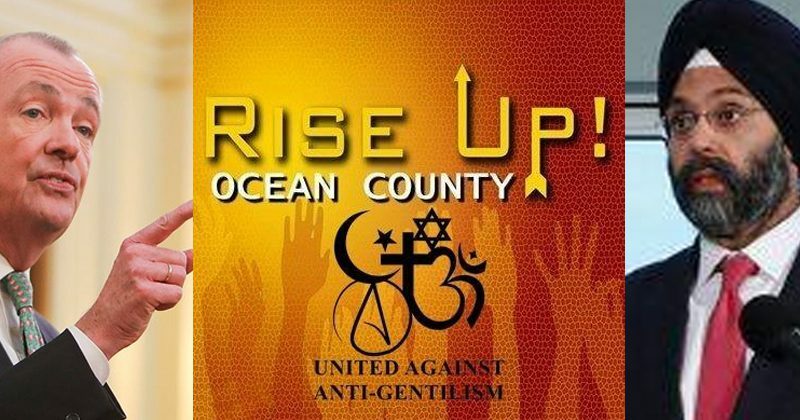 TOMS RIVER, NJ-A popular and growing Facebook page, “Rise Up Ocean County” (RUOC) is under attack from Governor Phil Murphy’s administration. The page, whose author is unknown has been scruitinized by members of the Lakewood Orthodox Jewish commmunity as being anti-semitic, but page owners claim the page is nothing more than an information resource for residents upset with overdevelopment and an ever-changing community lifestyle. The anonymous operators of the page say they are just focusing on the rapid development in Toms River, Lakewood and Jackson Townships and the growing pains associated with the growth of the Orthodox Jewish community on their own community. But Murphy administration officials say there’s more to it. Rachel Apter, the Director of the New Jersey Division of Civil Rights has asked Facebook CEO Mark Zuckerberg to shut down the page. The request comes after months of lobbying the Attorney General’s Office and even the Governor’s Office by the community to take action. Some view the state’s action against a private media entity an attack on their own freedom of speech. Afterall, if hate crimes are being commited by members of the page, shoulnd’t the Attorney General’s office have filed charges? Since there is no basis at this time for criminal proceedings, the government appears to be side-stepping due process that should be afforded to the operators of the page, regardless of whether or not anyone agrees with or condemns their actions. “The RUOC Facebook page appears to have been created in late 2018 to oppose what it calls the overdevelopment of Lakewood, New Jersey, by Orthodox Jews,” Apter admitted. The DCR noted posts by members of the community posting on the page, but not posts by the administrators of the page themselves for her basis to have the page shut down. If this was the norm on social media, the entire Facebook platform should be shut down if page administrators should bear the full responsibility of the users on that page. While some of the referenced comments are obscene, rude and dangerous, the page administrators frequently remind their page fans to obey and follow the rules set forth by Facebook and to not engage in hate speech. “Since we have the attention of the New Jersey Attorney General and more specifically Civil Rights Director Rachel Wainer Apte, we can find no more egregious example of the violation of civil rights than the Lakewood Tenants Organization,” RUOC replied in response to the Murphy administration. 1.An investigation into how Meir Hertz came to head this organization and why he is paid so much money. 2. An investigation into why Hispanics represent 19% of the population but just 3% of those benefiting from affordable housing. To date, no criminal charges have been filed against RUOC and this appears to be the government of the State of New Jersey circumventing the law to achieve its goal of shutting down the page to appease the community with very close ties to Governor Phil Murphy himself. If no charges have been filed and no crimes have been committed, why then, is the State of New Jersey attacking the citizens’ right to free speech. Whether or not you agree with the RUOC page, if a hate crime has been committed, it’s the state’s obligation to investigate and file criminal charges. If the state is successful in shutting down RUOC, what is next? A letter to Mark Zuckerberg against conservative news media? Pages that disagree with the Attorney General’s immigration directives? Pages that disagree with New Jersey’s ridiculous bail reform laws? Republican organization pages that disagree with the Governor or his allies? Or dare I say a complete shutdown against any government dissent in New Jersey? When I was Marine during the Cold War, we had a name for all of this. That name was communism.